Home Horse News Is your horse’s noseband too tight? When learning to properly tack up a horse, most English riders are taught to keep the noseband loose enough to allow space for two fingers to fit in between the leather and the horse’s nose. As a spectator at some equestrian events, you may have wondered if all riders follow that rule. Recent research looked at how competitive riders adjust their horse’s nosebands and how that could affect horse welfare. Orla Dohrety of the University of Limerick and her team of researchers from Ireland and Australia looked at competitive show jumpers and young event and hunter horses to see how nosebands are being used. Of 850 jumpers, only 20% wore plain nosebands, also called cavessons. Most of the horses were outfitted with flash or figure-eight nosebands which fasten below the bit. Of the 201 hunter and eventing horses they examined, on 12% were found to have nosebands adjusted to meet the two-finger rule. Nearly half of those horses had nosebands so tight that no fingers could fit in between the leather and the horse’s nose. The researchers sought to find out if these tight nosebands were doing physical harm or otherwise compromising equine welfare. In order to do so, they developed two methods to measure actual pressure applied by the noseband while in use. One measured tension in the noseband and inferred pressures based on the curvature of the horse’s nose. The second used pressure sensors at specific points on the noseband. These methods were used to measure pressure on a horse outfitted with a noseband adjusted to fit two fingers. Measurements were taken when the horse chewed hay and feed and when he was cued to back up. The same horse was then ridden at a walk, trot, canter and over a small jump. 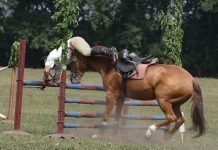 The researchers observed large pressure pulses that correlated to transitions, turns, while jumping and when the horse stumbled. This preliminary study was not intended to discern whether or not there was physical damage as a result of the pressure, although high pressure is known to cause tissue and nerve damage in humans, so the same might be true of horses. With more testing, these pressure measures may be able to help determine if noseband tightness results in injury or compromises horse welfare. I hate the too-tight nosebands so many people use! If the horse can’t chew, he can’t properly respond to the bit. Plus, it’s just plain mean to clamp their mouth shut! I feel the same way, Ellen. 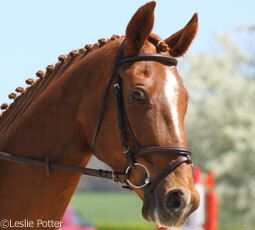 To me it is so cruel, also people who do not change out the foal halters. do damage to the tender nose bones. Well, what do you expect? A too tight noseband is no worse than a metal bit, a too tight girth, and whips. People are just plain cruel to horses, and that’s the way it is, and will forever be. ok soooo…… what does this prove? they didn’t come to a real conclusion! I prefer not to use a noseband at all. 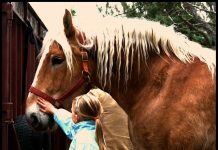 I do not use a nose, band, whips, spurs, or a bit…its called “oneness” with your horse, but not everyone has the time I do. Thank you for letting folks know about this abusive pratice. I’m a lower-level dressage rider, but I always make sure two fingers fit under the noseband, and I don’t use a flash noseband. The only reason I use a noseband at all is because its required at shows. Every trainer I’ve used has always said that you should be able to fit two fingers under the noseband. Sadly, I do know people who do use a tight noseband.